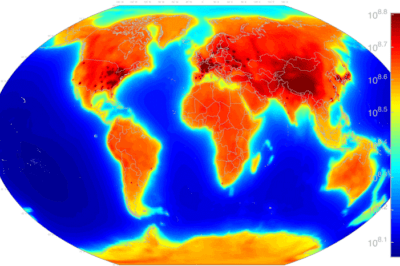 Worldwide antineurino glow map showing geoneutrinos from both natural sources Uranium-238 and isotopes of thorium as well as from manmade sources such as power reactors. Map: Usman et al., 2015. A new map of antineutrino emissions has been created by scientists at the National Geospatial-Intelligence Agency in the United States using data collected by detectors in Italy and Japan.